Is There Really A David Among the Goliaths Of the Blender World? Can the $60 Ninja Master Prep Professional Blender & Food Processor really hold its ground and come out on top in a comparison with known blender giants such as Vitamix and Blendtec? While researching Vitamix blenders to decide which one I want to purchase, I ran across a top ten list of blenders released by Consumer Reports claiming that the Ninja Master Prep Pro can give similar results as top of the line Vitamix models like the 5200 and Professional 750. I would expect a product in that league to be at least in the 3-digit range in price, but this list named the price at just $60. Thinking this must be a typo, I looked closer and they were correct - several hundreds of dollars difference in price! So while we save our pennies for a Vitamix blender, we decided to try the Ninja Master Prep Professional Blender & Food Processor and write about the results. We loved the fact that it comes with 3 containers. You can easily work on several stages of your recipe or meal at the same time just by moving the motor pod from one container to the next. All the containers have measurement markings and the contents can be poured out easily. The Ninja Master Prep Professional Makes Snow! 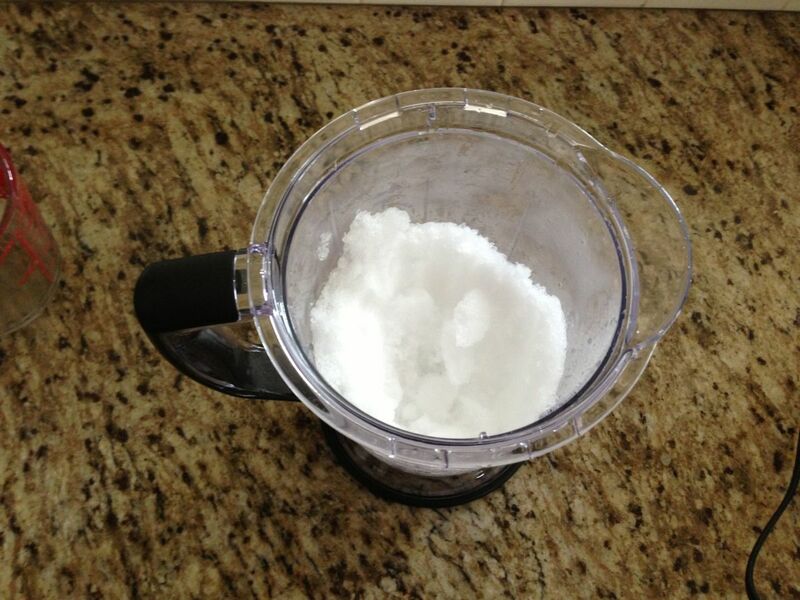 One test of a good blender is its abiliity to chop ice into a fine powder. We found that this is easily accomplished with the Master Prep Pro. What Do You Get When You Have Kids And Snow In The Same Room? 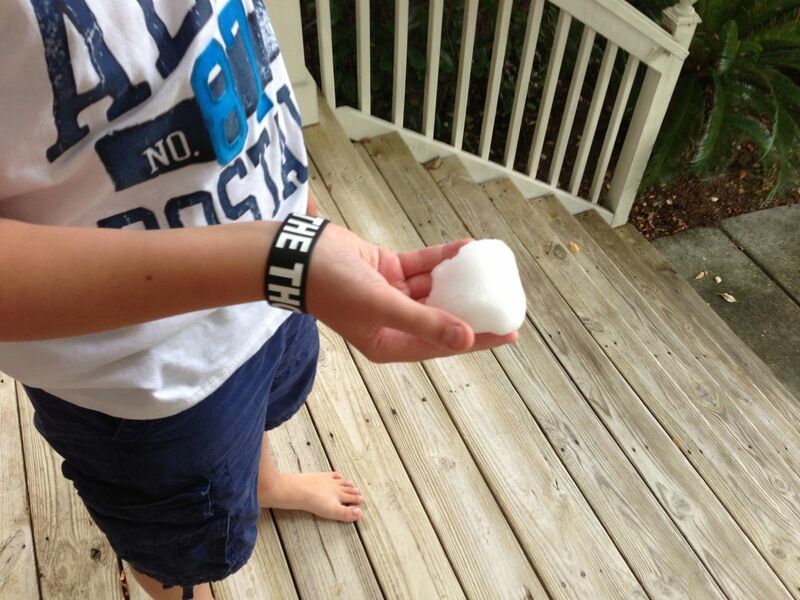 A snowball of course. Even in the middle of summer in South Carolina. Our Favorite Use For The Ninja Master Prep Professional Blender & Food Processor - Milkshakes! I wanted to see how well this mean food chopper could pulverize some tough vegetables and make it into a driinkable juice. 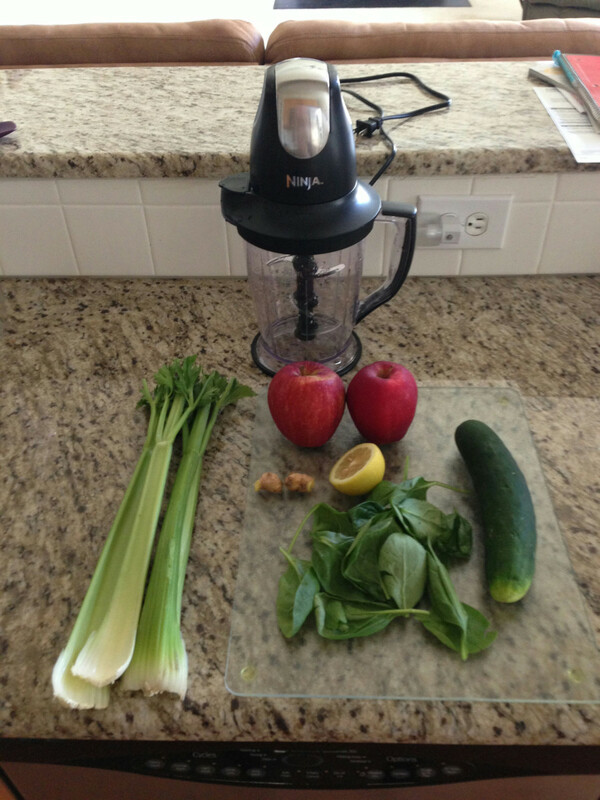 So I tried the Mean Green Juice recipe from the Fat, Sick, And Nearly Dead website. In this picture, you can see the ingredients I used. Ice is also needed to get the whole mixture to the right consistency. This is a common problem for any blenders making juice recipes since they do not remove the fibrous material like most true juicers do. After experimenting a bit with the amount of time to keep the power on, we were able to get a smooth consistency and no chunks. I was happy with the results and it was tasty too. 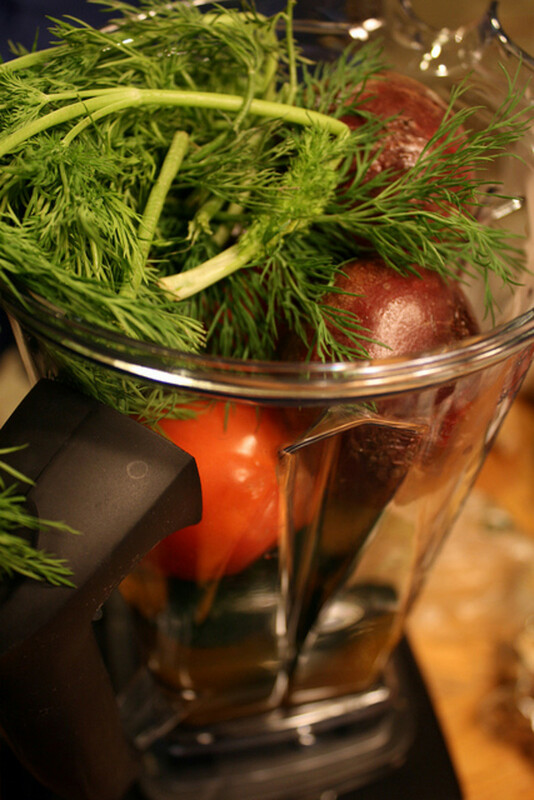 What Makes This Blender & Food Processor System Special? This is the Blade Assembly for the large container. The 6 razor sharp blades make the lower power of the motor pod a non-issue. 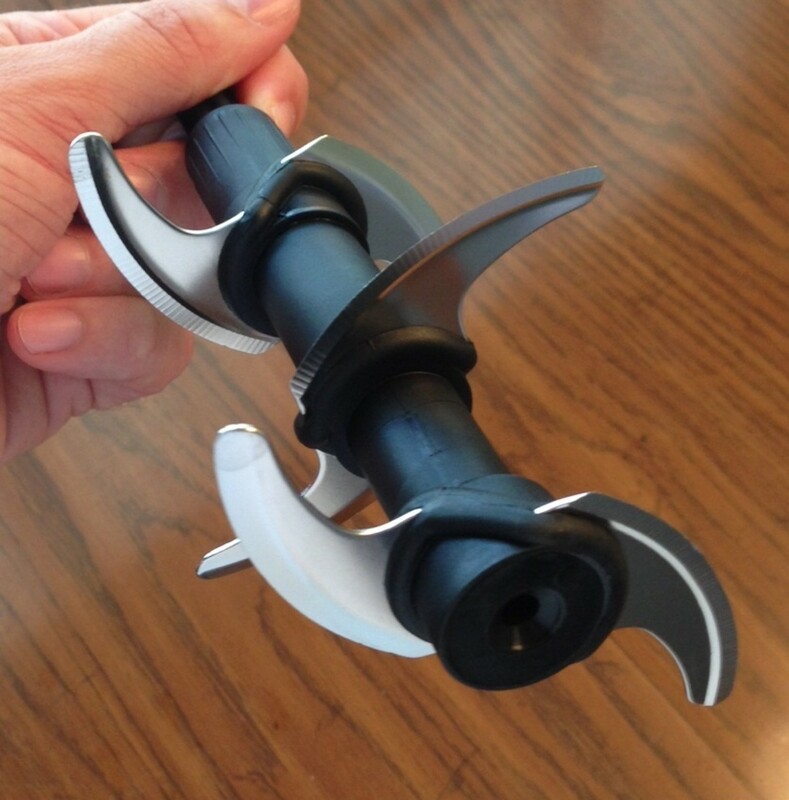 The Motor Pod is light and easy to hold in one hand. Plus it is simple to transfer from one container to the next. The first thing to do was find out where we could buy one of these. 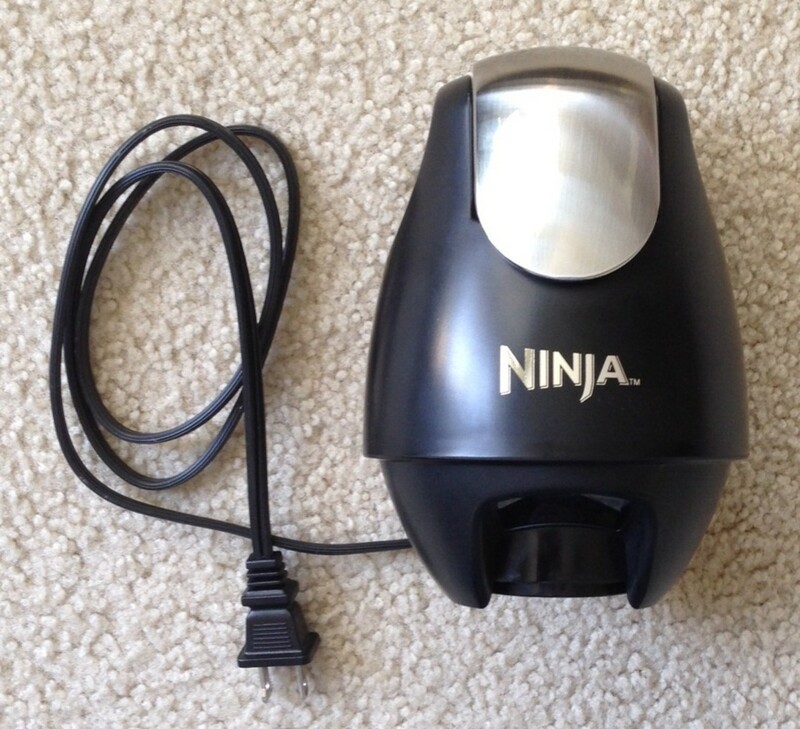 A quick Google search for "Ninja Master Prep Pro" revealed that many retailers carry this product, including Target, Kohl's, Walmart, Lowe's, and several others. All of these retailers, as well as Amazon, also sell this online. Since we were having a craving for milkshakes, we were not patient enough to wait for delivery. So we went out to hunt down a new blender. We first stopped at Target, but their shelf was empty. There was a Lowe's nearby, so we stopped there and sure enough they had a couple for the advertised price of $59.99 + tax. Of course, this can also be purchased at Amazon through this link. The price is $59.99 and the shipping is free since it is over $30. The only downside is that you have to wait a few days for it to arrive. 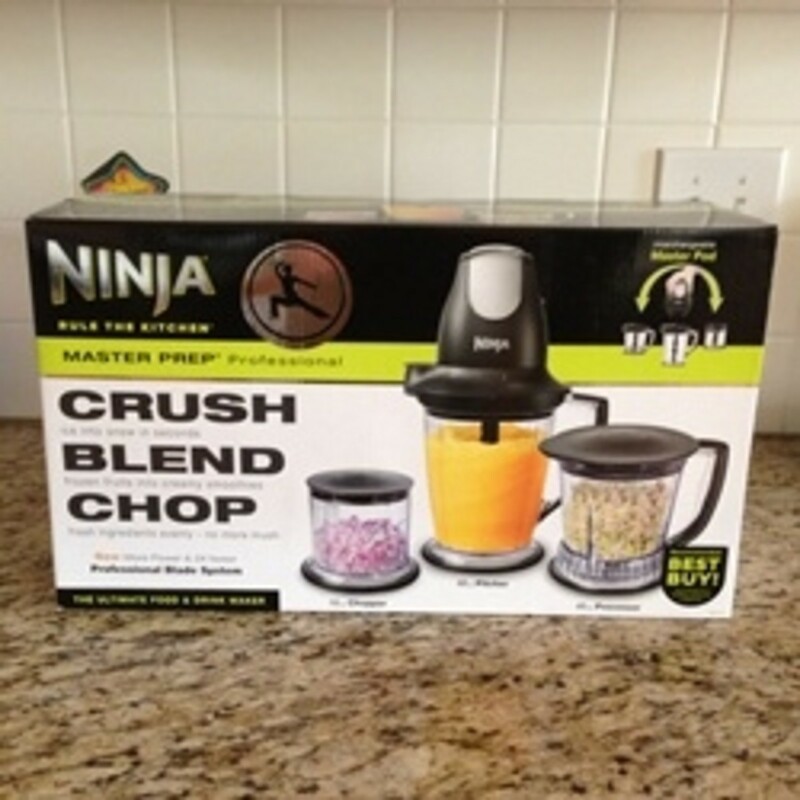 One of the features that stands out for all of the Ninja Master Prep products is that the motor is in a 'pod' that you place on top of the bowl instead of in the base as is typical for most blenders. 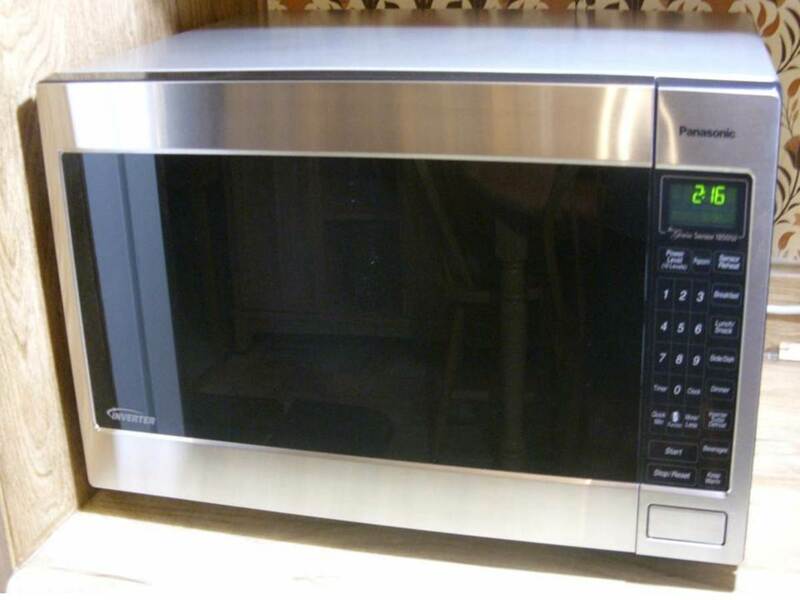 There are pros and cons related to this type of configuration. The pod has one button that you have to hold down to keep the power on, so operation is very simple. There is off or on at a single speed. You can pulse it in short bursts or choose to have longer continuous runs. This means that there is some skill involved in knowing when your blending has reached the level you desire. For us that was not a bad thing since we just kept tasting the milkshakes until they were just right. 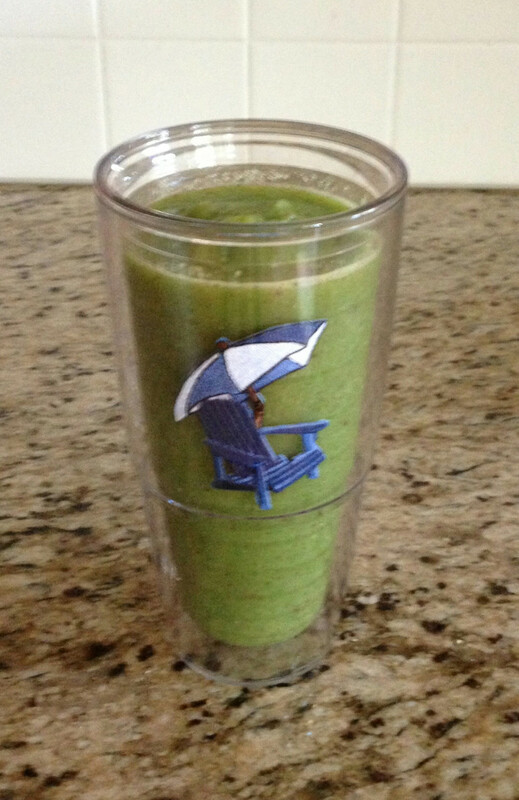 One downside is that you can't walk away and do something else while this blender goes to town. With this setup, the ingredients have to all be in the bowl before blending and can not be added while blending continuously.This does not seem to be a problem for people making smoothies or chopping spices. The motor for the QB1004 model has 450 Watts of power which is the equivalent of 0.6 horsepower. The top of the line Vitamix blenders, like the 7500 or 750 Professional Series, have motors with 2.2 horsepower, almost 4 times more than the Ninja Master Prep Pro. 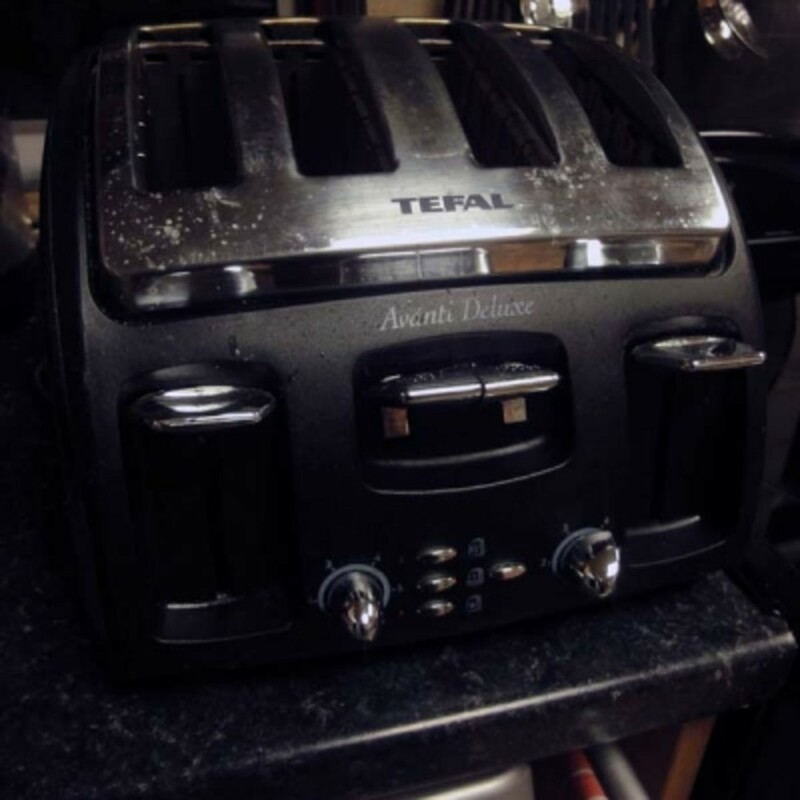 Blendtec claims to have 1725 watts, or 2.3 horsepower, in its Designer 725 model (not yet released). 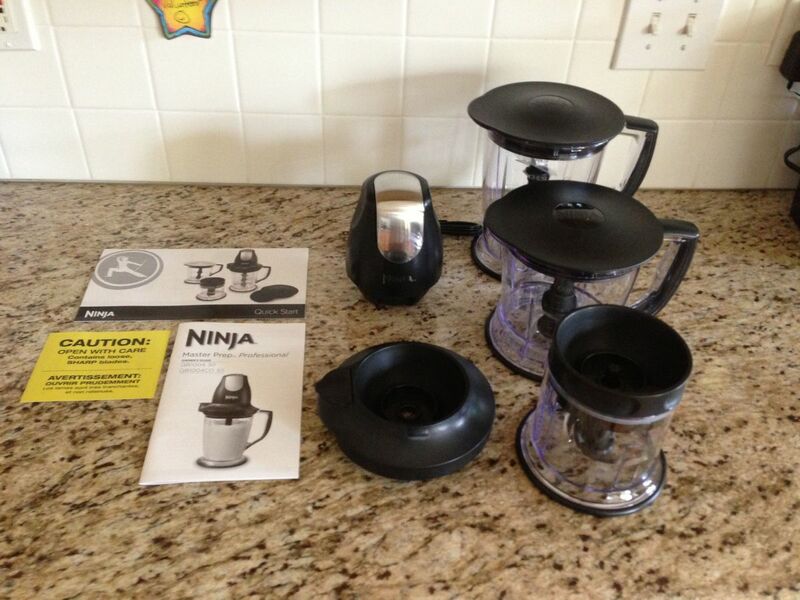 And the high end Ninja blenders have 1500 watt motors, or 2.0 horsepower. This sounds like a lot, but I think it just means that you won't be able to pulverize a 2X4 into dust with these Ninjas like you can with a Vitamix. The Ninja Master Prep Professional Blender & Food Processor has many cousins if you are looking for a different look or feature. Do You Have Other Questions About The Master Prep Pro? - Or Leave A Comment About This Lens! Great review. 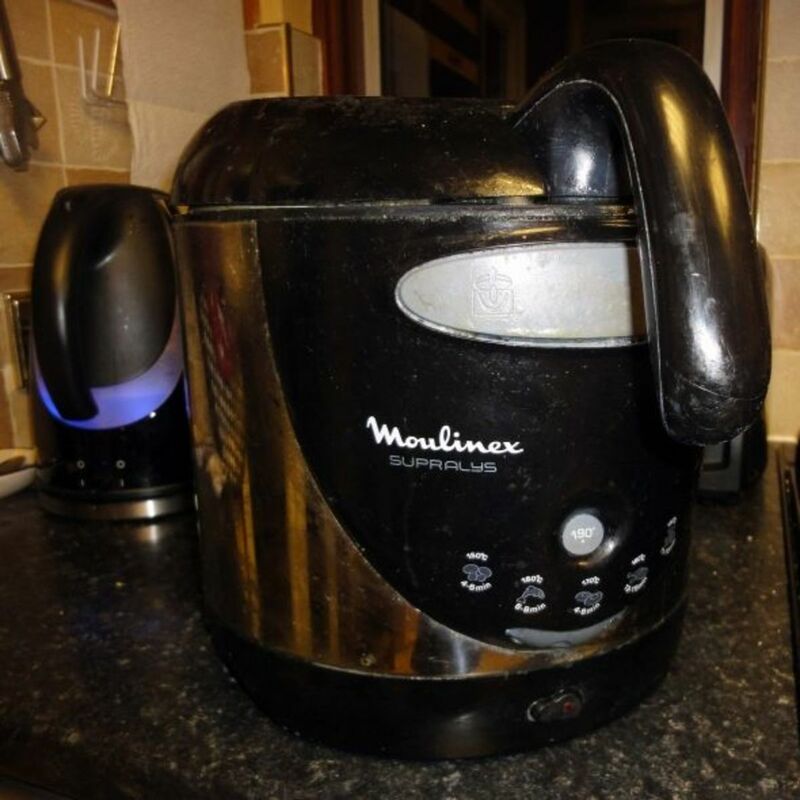 You seem to have covered all aspects of owning one of these. Good information here. I'd never heard of this. Sounds like a great product.